Massachusetts inspectors say they have found serious safety problems with buses used by a popular discount bus service operating between Boston and New York City. 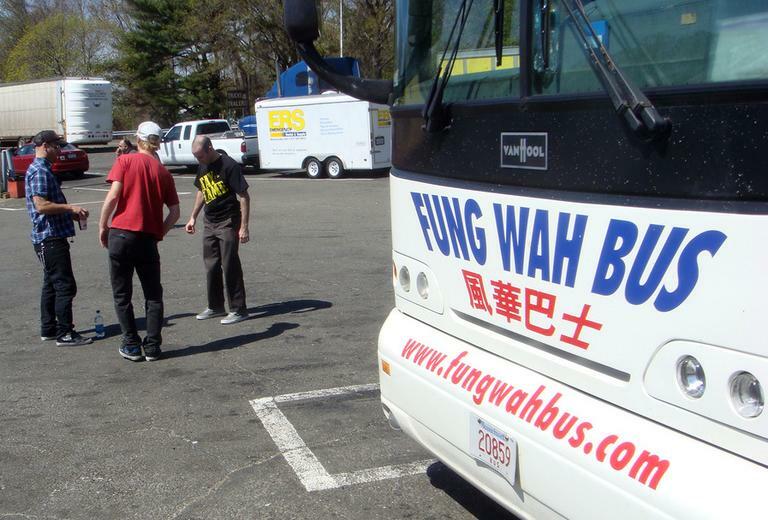 Department of Public Utilities Chair Ann Berwick said inspectors looked at nine Fung Wah buses and found serious problems in eight, including cracks to the frames. Berwick said those cracks could have led to serious accidents. "We're not talking about a blown taillight here or there," she said. "If the crack were in the drive axle, there could be a problem with loss of steering." Berwick said the state negotiated an agreement with the company to take all 21 of their older buses off the road. Six of the company's buses are still operating. "They're not actually running regular service right now," Berwick said. "There's actually only six in operation right now, because one was already being repaired." Berwick said the state has also sent a letter to the U.S. Department of Transportation asking them to declare an imminent hazard which would effectively shut down the company until it could operate to the satisfaction of federal inspectors. The bus company declined comment Monday.